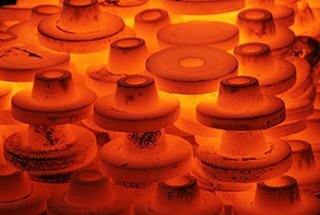 Systematic machine-related deviations can be recorded by the system, but they may still occur or increase during subsequent use due to environmental factors such as temperature or mechanical load. In these cases, SINUMERIK can offer different compensation features. 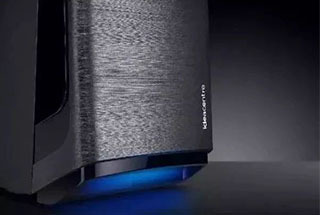 Better machining results are achieved by compensating deviation with measurements obtained using actual position encoders (such as gratings) or additional sensors (such as laser interferometers). This article introduces you to SINUMERIK’s common compensation features. Practical SINUMERIK measurement cycle such as “CYCLE996 motion measurement” can provide comprehensive support for ultimate users in the continuous monitoring and maintenance of machine tools. The transfer of force between moving parts and their driving parts, such as ball screw, will result in discontinuity or delay, because the mechanical structure without clearance will significantly increase the wear and tear of the machine tool, and technically difficult to achieve. Mechanical clearance causes a deviation between the axis/spindle path and the measured value of the indirect measurement system. This means that once the direction changes, the axis will move too far or too close, depending on the size of the clearance. The work platform and its associated encoders will also be affected: if the encoder is positioned ahead of the workstation, it reaches the instruction position ahead of time, which means that the actual movement distance of the machine tool is shortened. In the operation of the machine tool, by using the reverse gap compensation function on the corresponding axis, the deviation of previous records will be automatically activated when reversing, and the deviation of previous records will be superimposed on the actual position value. The principle of indirect measurement in CNC control system is based on the assumption that the pitch of the ball screw will remain unchanged within the effective travel. 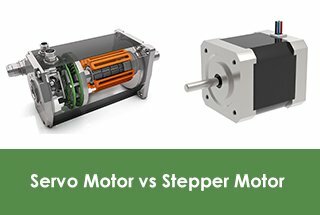 Therefore, in theory, the actual position of the straight line shaft can be deduced according to the motion information position of the driving motor. However, the manufacturing error of the ball screw will lead to deviation of the measurement system (also known as screw pitch error). 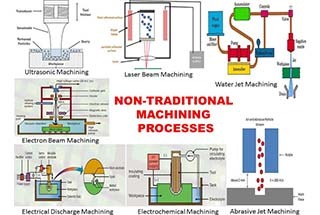 Measurement bias (depending on the measuring system used) and measurement system installation error (also known as measurement system error) on the machine tool may further exacerbate this problem. In order to compensate for these two errors, an independent measurement system (laser measurement) can be used to measure the natural error curve of CNC machine tools, and then the required compensation value is stored in the CNC system for compensation. 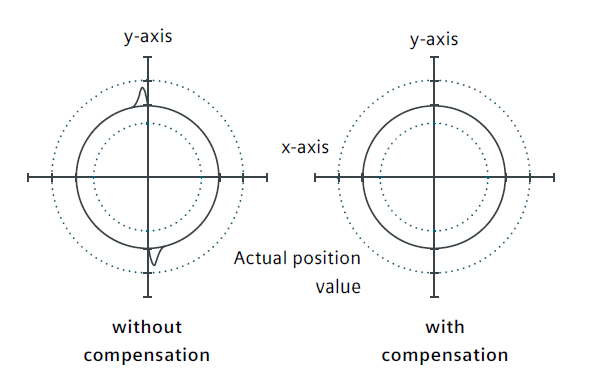 Quadrantal error compensation (also known as friction compensation) is appropriate for all of the above situations in order to greatly improve the contour accuracy during the processing of the circular contour. The reason is as follows: in quadrant conversion, one axis moves at the highest feed speed, and the other axis remains stationary. Therefore, different frictional behaviors of two axes may lead to contour errors. Quadrant error compensation can effectively reduce this error and ensure excellent machining effect. 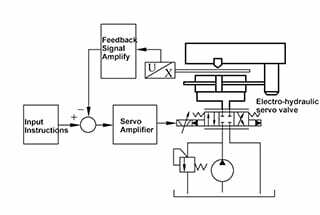 The density of the compensating pulse can be set according to the characteristic curve related to acceleration, which can be determined and parameterized by the roundness test. In roundness testing, the actual position of the circular contour and the deviation of the programming radius (especially in reversal) are quantified and displayed graphically on the man-machine interface. In the new version of the system software, the integrated dynamic friction compensation function can dynamically compensate according to the friction behavior of the machine tool under different rotational speeds, reduce the actual machining contour error, and achieve higher control accuracy. 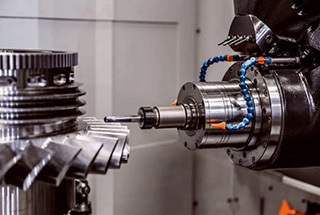 If the weight of a single part of a machine tool causes displacement and tilt of the moving part, sag compensation is required because it causes sagging of the relevant machine parts (including the steering system). Angle error compensation is used when the moving axes are not aligned with each other at the correct angle (for example, perpendicular). As the offset of zero point increases, the position error increases. These two errors are caused by the weight of the machine tool or the weight of the tool and workpiece. The compensation values measured during debugging are quantified and stored in SINUMERIK in some form, such as compensation table, according to the corresponding position. When the machine is running, the position of the relevant axis is interpolated according to the compensation value of the storage point. For every continuous path movement, there are basic axis and compensation axis. Heat may cause the parts of the machine to expand. The expansion range depends on the temperature and thermal conductivity of each part of the machine. 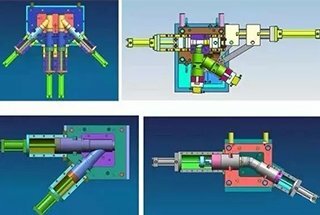 Different temperatures may lead to changes in the actual position of each shaft, which will have a negative impact on the accuracy of the workpiece in processing. These changes in actual values can be offset by temperature compensation. The error curves of all axes at different temperatures can be defined. 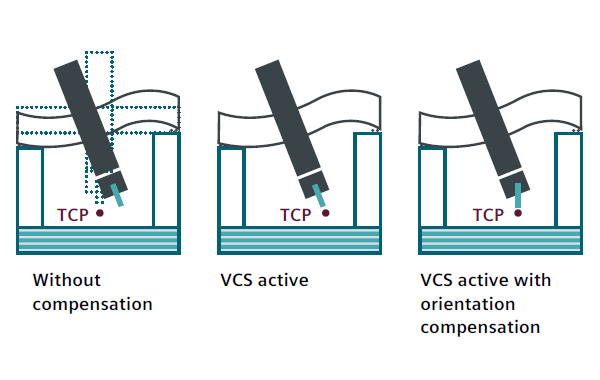 In order to compensate thermal expansion correctly, temperature compensation value, the reference position and linear gradient angle parameters must be transferred from PLC to CNC control system by function blocks. The change of unexpected parameters will be automatically eliminated by the control system, thus avoiding machine tool overload and activating the monitoring function. The position of the rotating shaft, their mutual compensation and tool orientation errors may lead to systematic geometric errors of rotating head and turret head. In addition, there will be small errors in the guiding system of the feed shaft in each machine tool. For linear axes, these errors are linear positional errors. 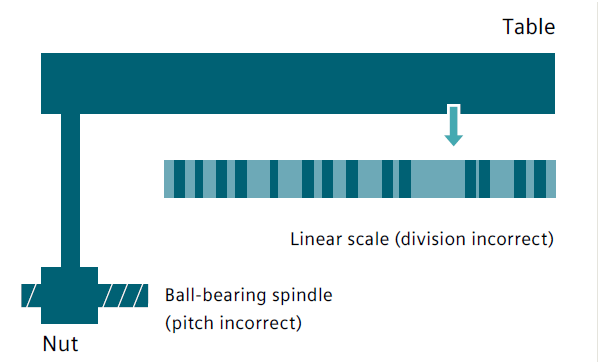 Horizontal and vertical straightness errors; pitch, yaw and roll angle errors occur for rotating shafts. 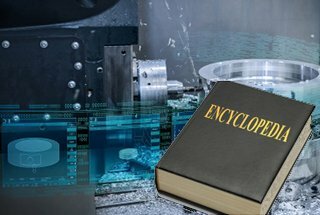 There may be other errors when aligning the machine tool components. For example, the vertical error. 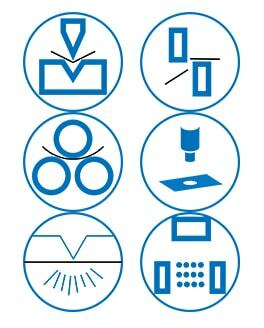 In a three-axis machine tool, this means that there may be 21 geometric errors on the tip: six error types per linear axis multiplied by three axes, plus three angle errors. These deviations work together to form a total error, also known as spatial error. 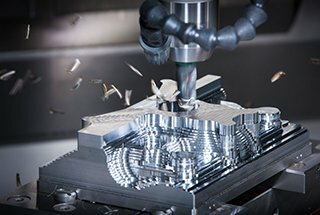 Spatial error describes the deviation between the tool midpoint (TCP) position of the actual machine tool and that of the ideal error-free machine tool. The SINUMERIK solutions partner is able to determine spatial errors with the help of laser measurement equipment. It is not enough to measure the error of a single position, it must measure the error of all machine tools in the whole machining space. It is usually necessary to record the measured values of all positions and plot the curve, as the magnitude of each error depends on the position of the relevant feed axis and the measured position. For example, when the Y-axis and the z-axis are in different positions, the bias that results in the X-axis is different-even at almost the same position on the X-axis. With the help of “CYCLE996 – motion measurement”, it only takes a few minutes to determine the rotation axis error. This means that the accuracy of the machine tool can be constantly checked and, if needed, corrected even in production. Deviation refers to the deviation between the position controller and the standard when the machine axis is moving. The shaft deviation is the difference between the target position of the machine tool shaft and its actual position. 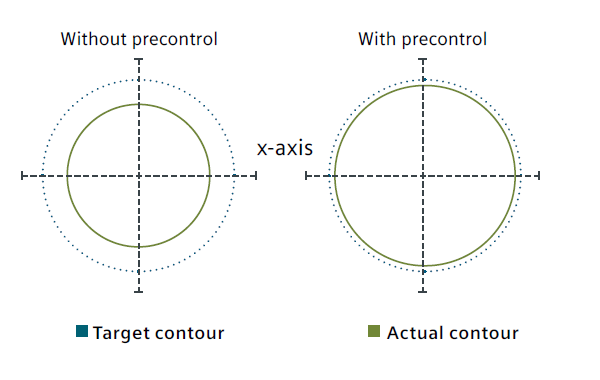 Deviation results in unnecessary contour error related to velocity, especially when the curvature of contour changes, such as circular or square contour. Use the NC advanced language command FFWON in the part program to reduce the speed related bias to zero as you move along the path. Through feedforward control to improve the precision of the path, so as to obtain better machining effect. 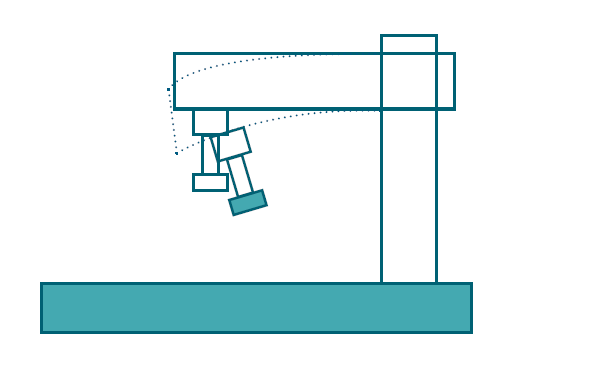 In extreme cases, the electronic counterweight function can be activated to prevent shaft sagging from damaging the machine tools, tools or workpieces. 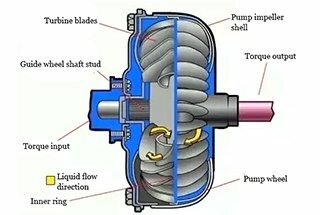 In load shafts without mechanical or hydraulic counterweights, the vertical shaft will sag unexpectedly once the brake is released. After activating the electronic counterweight, it can compensate for the unexpected droop of the shaft. 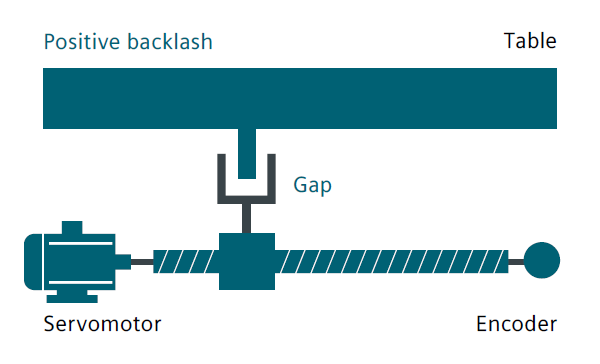 After the brake is released, the position of the droop shaft is maintained by a constant balance torque. 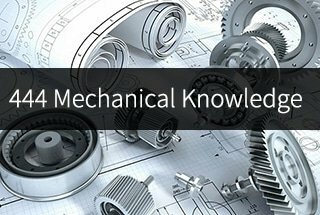 There are more things to know about machine tools compensation! This is very informative and interesting.